The is a something visually confusing about Roni Horn’s Well and Truly, on show at the moment in at Punta della Dogana as part if the exhibition In Praise of Doubt. The work consists of a number of similar cast glass sculptures each of which looks like water, solidified – but somehow, inexplicably, as solid water, rather than ice – in the form of a low straight-sided dish (that is, as a short column with a slight rounding where the sides meet the base). The sides look sanded (though this is from contact with the mold during casting) but the tops, which dip slightly, are clear and reflect their surroundings. The sculptures vary in colour – some blue, some colourless glass with white sides – and opacity, with some seeming to glow in the space. It is possible to read these objects as glass – and that is, after all, what they are – but, despite their solidity, their wateriness seems somehow implicit; though I read them as solid, I also want to touch them, to dip my fingers in the water. I’ve seen Well and Truly exhibited elsewhere and it is never less than stunning, but here it has an extra resonance. 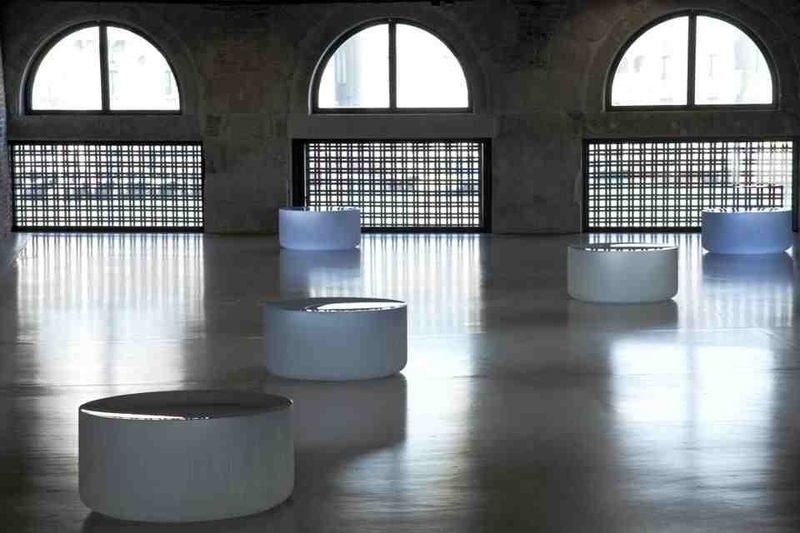 In part this comes from the location; with the canals of Venice as the view beyond the windows at both sides of the gallery – thanks to Punta della Dogana’s extraordinary location at the Easternmost end of Dorsoduro – water is never far from one’s thoughts. But the work also seems to benefit from the contrast between the perfect simplicity of the glass and the bare brickwork of the gallery walls. 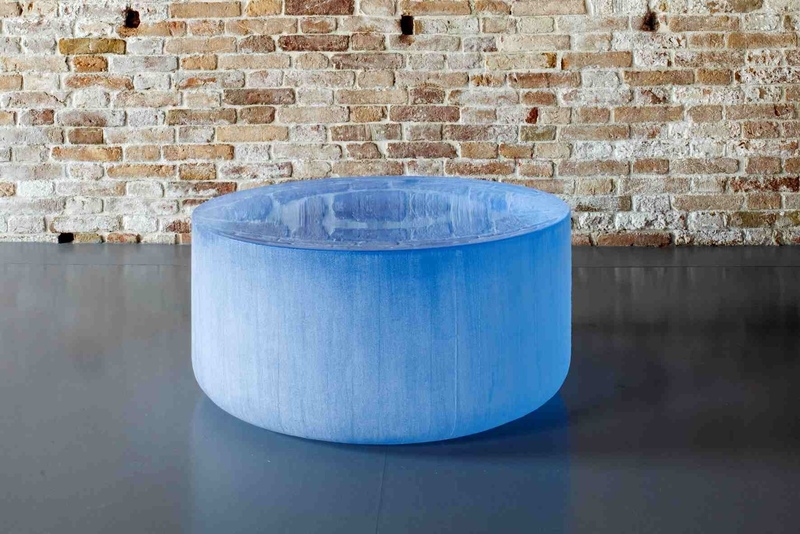 This entry was posted in Sculpture and tagged art, glass, In Praise of Doubt, Punta della Dogana, Roni Horn, sculpture, Venice, water, Well and Truly by Ann Jones. Bookmark the permalink.